God sent Prophet Mohammad صلي الله عليه وسلم (PBUH) as a Mercy for all creatures, Humans and Jinn, which mean that he was sent for all nations on earth for all times. We have not sent thee (Mohammad) But as a universal (Messenger) To men, giving them Glad tidings, and warning them (Against sin), but most men Understand not. 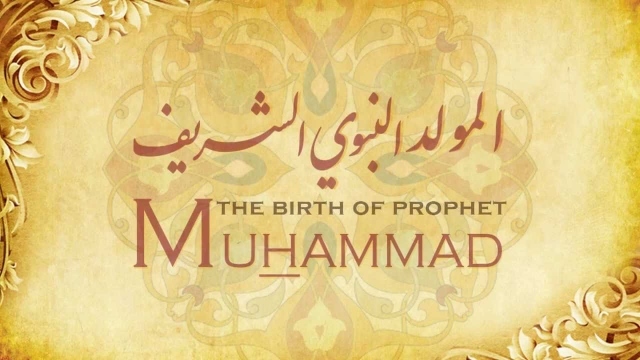 Prophet Mohammad صلي الله عليه وسلم (PBUH) was born an orphan, his dad, Abdullah Ibn Abdul Muttalib, died when his mother, Aminah Bint Wahhab Ibn Abd Manaf Al- Zuhri, was pregnant with him. He was born on Monday, 12th Rabi Al-Awwal, in Mecca, Saudi Arabia. So, he was born on April 20, 571 AC. The Prophet Mohammad was suckled by Haleema Bint Abu Dhuaib, best known as Haleema Al Sadiyah. His mother died when he was six years old. His grandfather Abdul Muttalib, the chief of his clan Bani Hashim, took care of him after his mother’s death. And when his grandfather died, his uncle Abu Talib took care of him. When Mohammad was twelve, Abu Talib took him with him to Syria for a trading expedition and taught him trading. Khadijah Bint Khuwaylid, a wealthy merchant of Mecca heard that Mohammad was trustworthy, and truthful. She hired Mohammad and sent him on a journey. He was to sell her goods in Syria. Mohammad took her servant, Maysarah, with him. They joined a caravan of traders from Mecca. It was Mohammad second trip to Syria. In Syria, he put all his goods for people to see and asked them how much they should pay, which surprised the buyers. They had never seen such an honest man, so they bought all of the goods. When he returned to Mecca, Khadijah had been told by Maysarah what had happened in Syria. She sent someone to ask Mohammad to marry her, which he did. She was the first woman to believe him, and she entered Islam. The Prophet Mohammad died on Monday, 13 of Rabi Al-Awwal, 11 Hijjri, which was June 8, 632 AC. Prophet Mohammad taught us Muslims to love and obey God. He taught us to be kind to each other, to respect our elders, and care for our children. He taught us that it was better to give than to receive. He taught us to love for our brothers and sisters what we love for ourselves. Prophet Mohammad taught us that families, neighbours, and communities are essential. Prophet Mohammad is the only prophet who will ask God on the Day of Judgment the Shafaaa’ for his Ummah (الشفاعه يوم القيامه ( , when he will say (يا رب أمتي أمتي). Mohammad was the last messenger of God. He was sent as a Mercy to all humankind at all times and places on earth.